Norton AntiVirus 2011 is the world's most trusted antivirus solution & software. Symantec's Norton AntiVirus 2011 is the world's most trusted antivirus solution. Norton AntiVirus 2011 protects email, instant messages, and other files by automatically removing viruses, worms, and Trojan horses. Norton AntiVirus 2011 new built-in features also detect certain non-virus threats such as spyware and keystroke loggers. Protect your PC 24 hours a day with award-winning Norton AntiVirus 2011 new fuction. ...... reducing the risk of infecting your computer. Symantec's exclusive LiveUpdate? technology automatically checks for new virus protection updates on a regular schedule to keep the program up to date against the latest threats. 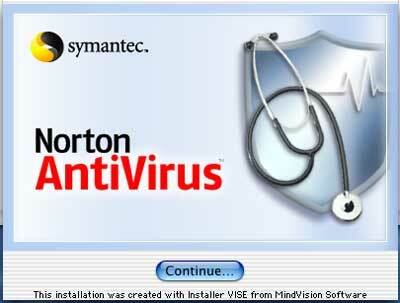 Symantec's Norton AntiVirus 2010 now even alerts you when your virus protection is getting outdated. Norton AntiVirus also defends your PC against emerging threats. Script Blocking intercepts fast-moving script-based viruses such as 'ILoveYou' and 'Anna Kournikova', and Worm Blocking stops worms from using your outgoing email messages to infect other computers. The expanded threat detection in Symantec's Norton AntiVirus 2010 alerts you to the presence of spyware, keystroke loggers, and similar programs that can steal personal information and leave your PC vulnerable to other attacks. Stop viruses and protect your PC with award-winning Norton AntiVirus. Small Office Packs for 5 or 10 users are also available. The world's most trusted antivirus solution with advanced protection. Eset NOD32 Antivirus Review brings you consumer ratings. Qweas is providing links to Norton AntiVirus 2011 18.6.0.29 as a courtesy, and makes no representations regarding Norton AntiVirus or any other applications or any information related thereto. Any questions, complaints or claims regarding this application Norton AntiVirus 2011 18.6.0.29 must be directed to the appropriate software vendor. You may click the publisher link of Norton AntiVirus on the top of this page to get more details about the vendor.